Protein bars are something I have dabbled in in the past, some of which were horrendous and some were pretty nice especially when microwaved and they go a bit like cookie dough or fudgy brownies. 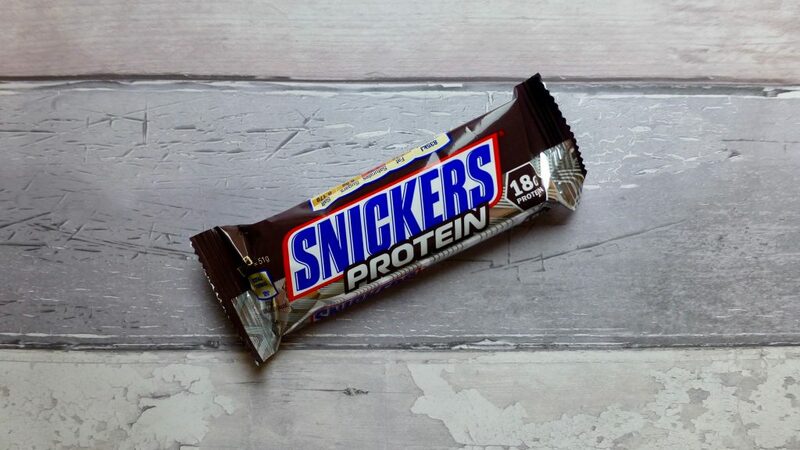 Today is along those lines in the sense of a Snickers Protein Bar. Yes a protein bar that is a Snickers but healthier for you, say it isn’t so. We all know those pesky chocolate bars scupper our hard work at the gym or our nice long walk or any form of exercise for that matter. Mars have however come up with a solution. Snickers and Mars bars that are like the regular versions but designed to be a gym snack. These are available in a number of places including online, Tesco, petrol stations and in local corner shops where this one was found. Sadly this varies in price and ranges from £1.79-£2.79, of which I paid £2.00. Protein bars are pricey and I expected this to be because after all it is a Snickers and not something that is supposed to taste like its namesake. Per bar: 199 kcal, 2.7g sat fat, 9.5g sugar and 18g protein. 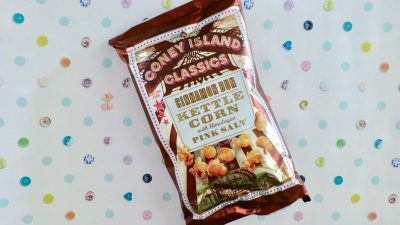 This did smell exactly the same and based on looks alone it is pretty similar to the regular version aside from its lack of oozy caramel. 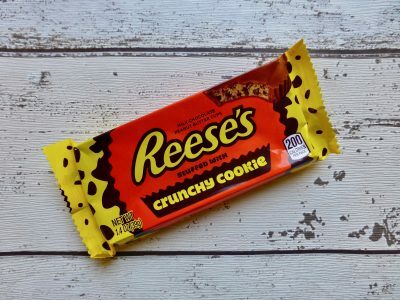 Biting in the texture is exactly the same consistency as every other protein bar I have tried – a dense bar that required a quite a bit of chewing. The peanuts were a lovely addition to aid the texture but surprisingly lacked in peanut flavour. The chocolate was thin but did give that milky creamy element that was just enough to satisfy the chocolate craving. Like the peanuts the caramel was barely there, I understand why as this is meant to be a gym friendly bar but if there is going to be caramel you should at least be able to taste it. I applaud the efforts of Mars to branch into the realms of protein bars but for me this does not deliver. From looks it resembles a Snickers but from taste it is severely lacking particularly in the peanut flavour department. A real Snickers bar is the only way forward for me, it’s far more satisfying. Has anyone else given this one or the Mars version a go? Let me know your thoughts.